“If you want to stay here, you need to take care of Maa. She is ill and needs care and medication. You will have to manage everything on your own”, the cold voice of the elder of her two brothers echoed around the four walls of their courtyard. Amurla could feel her legs trembling in anxiety. A widow, without a single paisa in her hands, how would she take up this responsibility? Within a few years time, Amurla would change her life-story, settling up examples for others to follow. Amurla Harijan sold her brinjals to Maheshwar and got Rs. 1000. This was just her third consecutive plucking and almost 600 kgs of brinjal was sold, taking her total income to Rs. 4000. Amurla had never handled so much cash at one time, ever before. She counted the money five times. “Etiki paisa agaru bhi milithaita bole maa ra usadh pati lagi ete galgala nai habake padta!” (“Only if I had this bundle during those initial days when Maa was so ill!”), sighed Amurla. Amurla lost her husband several years ago. “Tui dahani mor pua ke toh khailu,tor bhuk kana sari nai aari?” (“You witch. You have already eaten up my son, what more do you want to satisfy your hunger?”), her mother-in-law would thunder whenever Amurla asked for dinner. 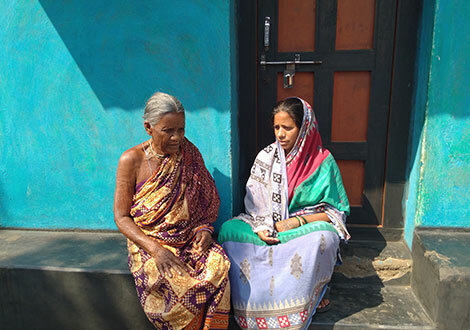 Not being able to endure such scathing attacks on her dignity at her in-laws’ Amurla came to stay at her parent’s in Uperdamaghati village of Lanjigarh block in Odisha. She pronounced her decision of not returning back to the in-laws ever again. A deafening silence reined the courtyard for the next ten minutes. “Tui rahibu jadi kahuchu tahele maar sange gote ghare dui lok rahibu ar maar sabu usadh pati kharcha k etui bujhbu” (“If you want to stay here, you need to take care of Maa. She is ill and needs care and medication. You will have to manage everything on your own”), the cold voice of the elder of her two brothers echoed around the four walls of their courtyard. Amurla could feel her legs trembling in anxiety. The next few nights Amurla could hardly sleep. She knew that she had almost nothing, and the very thought of this responsibility was unnerving her. In the following week Amurla started working at a construction site. Her struggle began. On her way back home, she stood for a minute next to her 0.2 acre farm. It looks so healthy with thick green shrubs of brinjal. Her violet crops are peeping out from beneath their loose foliage cover. The very sight of her “own crops”, her “own produce” immediately adorned her face with a radiant smile. There was a time, when at her in-laws’ Amurla did not have anything that was her “own”. She was denied even two meals a day. The wounds were still so fresh in her mind. A mate at the construction site advised her to join the Maa Majhigouri SHG in her village where “Agyaan”(that’s how they call the PRADAN professionals) from PRADAN guide the members how to save and create a pool of their “own money” and help them learn various other means of livelihood, especially agriculture. 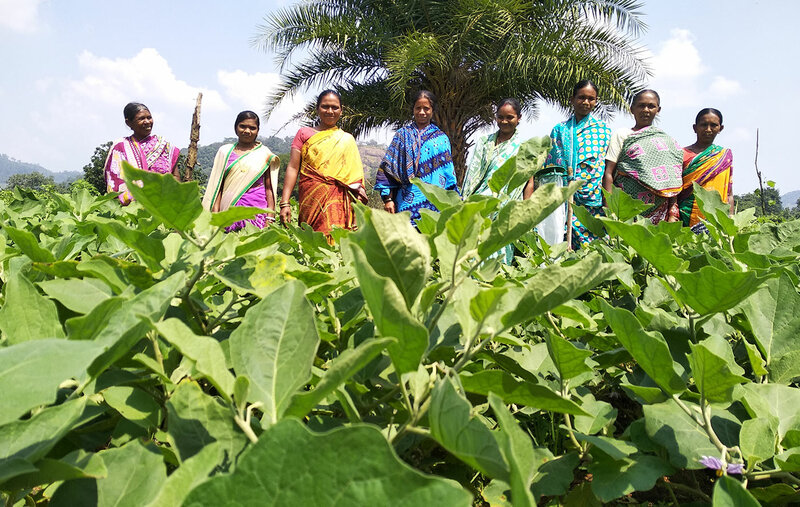 Without a second thought, Amurla joined the group and was soon a part of a learning session on brinjal cultivation. Amurla quickly learnt techniques to grow brinjals. Her SHG members were planning to do agriculture as a collective. They adopted the concept of farmers from multiple adjacent villages coming together to form a cluster and start producing crops corresponding to market demands and price trends. 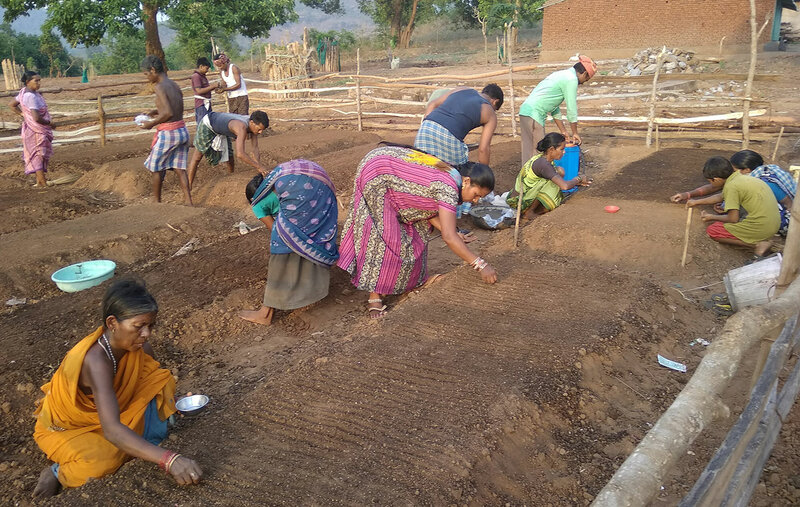 Their Agriculture Production Cluster was being planned with 40 farmers across three adjacent villages namely, Asurguda, Sorpadar, Uperdamaghati. “Muin bhi cluster re chaas karbake chanhuchi, mate gute jami lagi sahajya kara” (“Please help me get a piece of land, I badly want to join the cluster”), uttered a determined Amurla to her group members. The brothers were unwilling to share their land with Amurla. Her SHG members stood resolute, the brothers gave in to the pressure. Amurla won the first challenge. Amurla was not alone to experience this marvel. Starting in August 2018, all the other women farmers of her production cluster had also started earning Rs. 3000-4500 each. The Village Level Committee members were excited to witness this transformation in their hamlets. They started meeting regularly with the entrepreneurs to discuss strategies for realising better market prices. 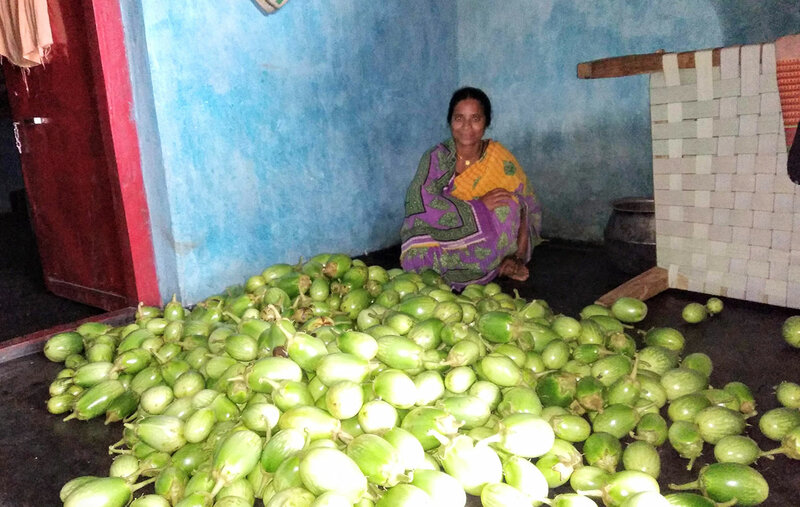 On an average farmers of Uperdamaghati village is now producing two tonnes of brinjal every week, as the appetite to produce and earn more kept growing. 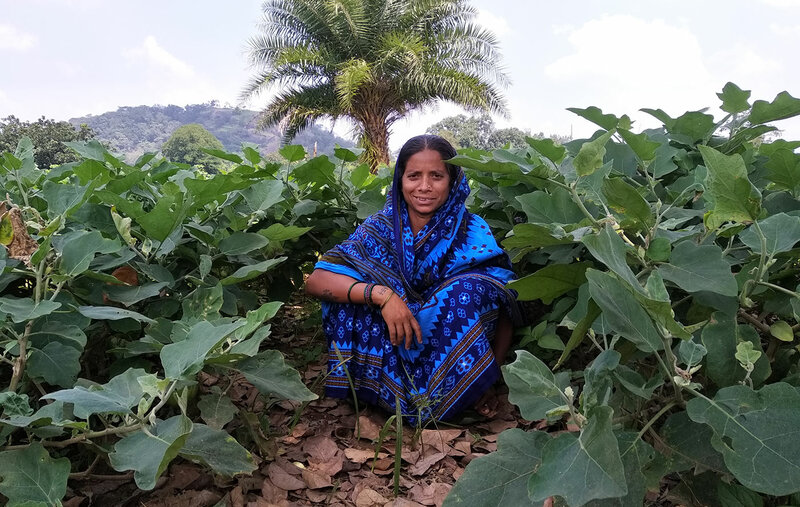 Very carefully yet confidently Amurla and her 39 fellow farmers prepared the brinjal nurseries and transplanted the saplings to the main fields. Disregarding the extreme sultry weather and the sun beating harsh on their heads, the farmers meticulously followed all the best practices as enumerated during the learning sessions and carefully monitored the growth of the plants. In two-month’ time, the violet crops were ready for harvest. Their Entrepreneur Maheswar Harijan, ensured forward and backward linkages in terms of quality seeds and insecticides and helped link the produce even with far away markets in Berhampur in Odisha, and Srikakulam in Andhra Pradesh. Now, the future looks brighter as Amurla is planning for tomato and onion cultivation in the coming Rabi season. From Rs. 500 a month (their average monthly income before), the farmers are now earning more than Rs. 2000 every month. And this is just the beginning. They have started planning to educate their children and invest in better health care. For Amurla, life has a different meaning now. 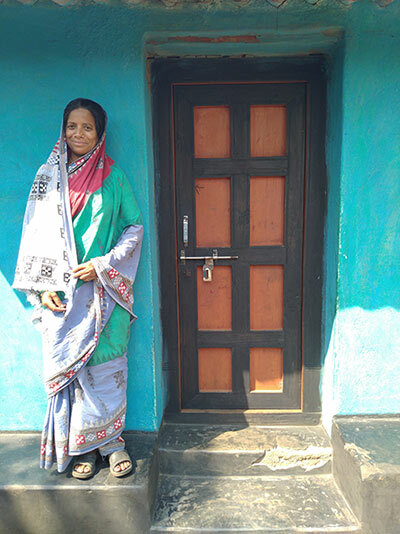 With her “own money” in her hands, and a dignified place in her village community as a successful woman farmer, Amurla is a confident lady today. Her elder brother tells every visitor who comes at their home, “Amurla jenta maa sange thia hei tar sabu jinisha ke bujhichi, ame kebe sapne bhi heta nai bhabithai. Amar anchal re sabkar ke tar nu sikhba katha” (“the way Amurla has stood beside our mother and has taken care of her every need is something we could never have imagined! Everyone in our village must learn from Amurla”).